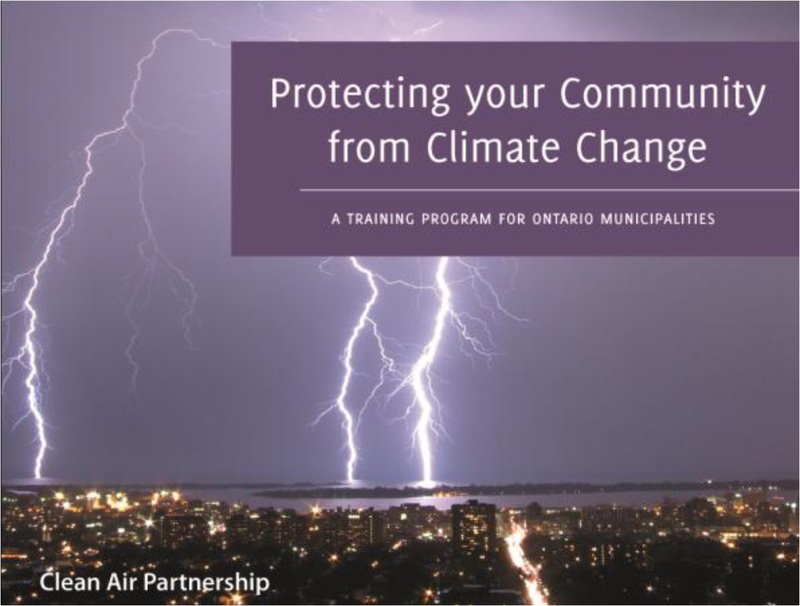 As part of the Ontario Regional Adaptation Collaborative, Clean Air Partnership delivered an Intensive Municipal Adaptation Training in climate change adaptation planning for municipal officials in Ontario. The Training Program addressed the key considerations for municipal climate change adaptation; the impacts of climate change on Ontario municipalities; how to assess community risks and vulnerabilities; key steps in planning for adaptation; and how municipalities can build on their strengths to integrate climate change adaptation measures into existing goals, plans and programs. Examples of adaptive actions were drawn from across Ontario, and were supplemented by practices from Canada and internationally. In each of four Ontario regions – the Greater Toronto Area, Southwestern, Northern and Eastern Ontario – the Training Program was hosted by local municipalities and delivered in two intensive 2-day sessions. After the Training Program, participants were asked to take part in a Train the Trainer program so that they may replicate the program in their communities and regions. For powerpoint presentations, facilitators guides and works sheets, please contact Kevin Behan 416-460-6320, kbehan@cleanairpartnership.org. For more information on future training programs, please contact Kevin.